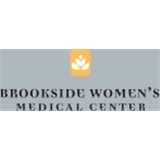 Brookside Women’s Medical Center (Austin) - Book Appointment Online! Quality care centered around you. Understanding your options and making the most informed health care decisions possible is what Brookside Women’s Medical Center is all about. In fact, we've been empowering the women of Central Texas with high quality, patient-centered care, since 1976. Locally owned and operated by the highly respected physician, Dr. Tad Davis, Brookside provides a wide range of private gynecological and primary care services using today’s most advanced treatment options.